Naming Conventions – Use proper naming conventions (subject or keyword first, then plural variation, modifier, then tag line). 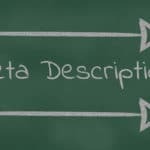 Here is a more useful post about how to use meta titles, descriptions and naming conventions, but the gist is simple. Create a hierarchy based on a relevant platform of topically reinforcing semantics using keyword clusters and related synonyms to toggle relevance from what search engines deem as the co-occurrence matrix.